There is no one that likes loves color more than I do but too much of a good this is, well, is not good. Think of your home like a quilt. Each room represents a square on the quilt. 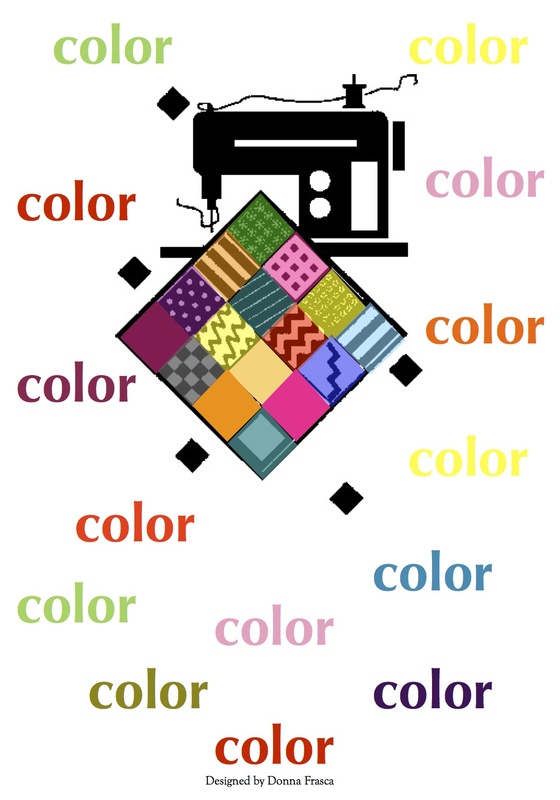 Do you have a different color for each square in your home? This ladies and gentlemen can be a problem. Let me show you how to fix it. I know it’s hard enough to choose color for one room in your home let alone the entire house but you eventually have to do it. Like anything else in life, there is a right way to choose color and a wrong way. Well, I shouldn’t say wrong because there are people who love the quilt look and it’s perfectly acceptable for some style homes but not for all. If you have a small cottage style home you most certainly can have a different color in each room such as this gorgeous blue. However, if you have a large home with an open floor plan, then this will be a difficult look to pull off. Like I tell my clients, you CAN have a different color for each room of your home but in the case of open floor plans, it has to be a subtle change, barely noticeable. Here is a graphic that shows a nice transition of colors. This one is obviously a coastal theme. You can see that there is a neutral for the main foyer area and each room is a different color but it transitions softly from room to room. You can even take these colors lighter to make it even less noticeable. Make it several shades darker and you have a great beach cottage look. This entry was posted in Blue, Charlotte, Coastal Colors, Color, Color Tips, Interior Design, Open Floor Plan, Painting Tips and tagged coastal color, color wheel, cottage style, foyer area, open floor plan. Bookmark the permalink. 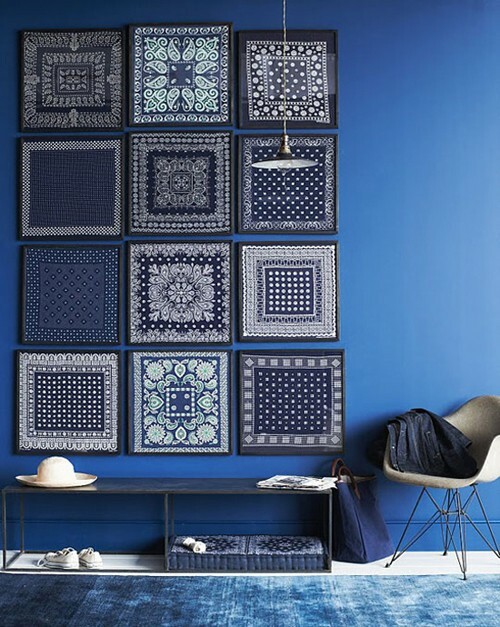 9 Responses to Does Your House Look Like A Quilt? Great pointers! I’m a huge offender of painting every room a different color (you knew that already 😉 ), but I do try to keep each room flowing from one to the next (not an open floor plan) by keeping all of the colors more gray-out/muted, even they are all darker colors. I guess I like an earthy look? Very good tips; I pinned it. I have very bright in living room open to dining which is muted aqua but a trail o the blue is in both rooms so no clash.then into veranda which i coasta l themed again picks u p the blues so continui ty is maintained.kitchen pure white top to bottom.cloaks in navy and white with beech accent ,then hall pale green and grey.bedrooms green ,then coastal again and green/lemon.main bath classi black and white ensuite blues med. Mosaic top to bottom.house is fab and looks as if it’s situated on coast rather than 30miles away.good all round light helps too.